A smorgasbord of things going on today, with visits to Fiztgerald River National Park and the Ravesthorpe area. Local wildflower specialist and author Helen Taylor will be with us on the bus to show us the local flora and other local sights. As well as the wildflowers there will be coastal scenes, a garden visit, farm sculptures and we visit the local wildflower art show where Angus will be the main judge and pick the winning entry. But first, it's off the local hardware and fishing tackle shop for a hot breakfast. Today the flexibility of the tour will also be highlighted when Norma asks can she be dropped off back at the motel so as she can have some free time to relax enjoy some of the coastal attractions of Hopetoun. We again spend the night at the Hopetun Motel. 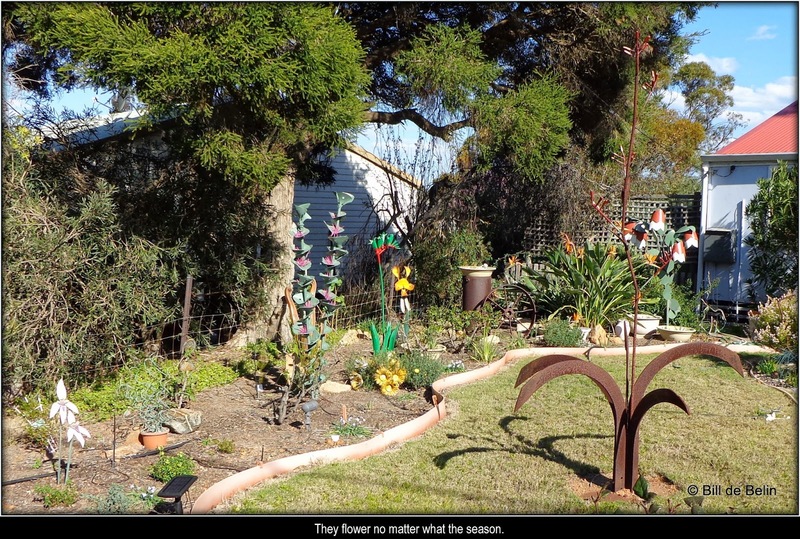 As it was a Friday, I have added some of the flora (in a slightly different format) seen today on my Flora Friday in Oz blog. The video can only be watched on this page. From 5 Mile Beach, Hopetoun, the sun rises out of the Southern Ocean. The sun rising out of the Southern Ocean, Hopetoun WA. West Mount Barren. Queelup (Aboriginal Noongar name for this peak) 'place of the rock sheoak'. Port Hotel and freesias, Hopetoun WA. Ethel and West Mount Barren. and those that grew below the road. View from Barrens Lookout towards Culham Inlet, Barrens Beach, Four Mile Beach and the Southern Ocean. Regelia velutina - Barrens Regelia. Hakea victoria - Royal Hakea. Not sure, but 1 of the 5 petals per flower is patterned. Is this Melaleuca pungens - Spiney Myrtle ? Pimelea physodes - Qualup Bell. Not your 'normal' Pimelea. Enjoying the sea breeze at Barrens Beach. Helen Taylor shares her knowledge. Interpretive signs at Barren Beach. Helen Taylor and her poem 'My Wildflower Country'. My Wildflower Country by Helen Taylor (Southern Scribes). Petrophile, Dampiera and Goodenia ........... or Yellow, blue and white. West Beach from Cave Point, Fitzgerald River National Park. Calothamnus pinifolius - Dense Clawflower. Left, Boronia sp. (?) and bright pink amongst Adenanthos cuneatus - Coastal Jugflower (the flat-leaved plant). Pigface, but is it an introduced one? Adenanthos sp. - Woolly Bush (left) and Conostylis sp. - Cottonheads. Back to the bus. West Beach from Cave Point, Fitzgerald River National Park. 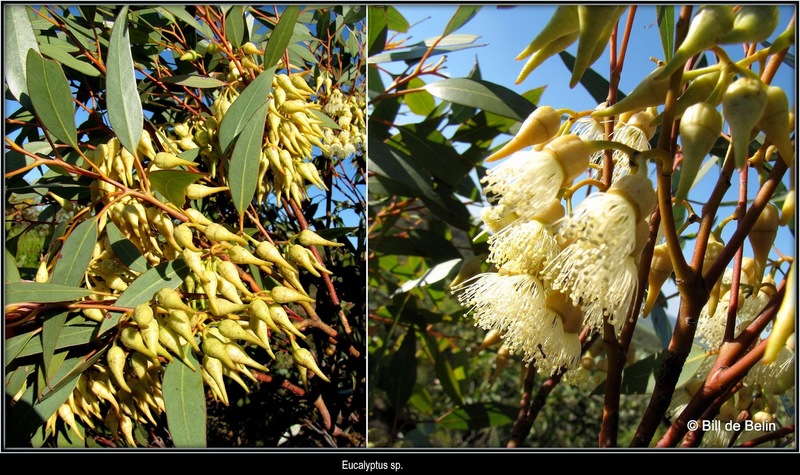 Eucalyptus sp. (near car park). The truck was off it's chain, so everyone stood back. Helen and her piano. I found a photo of the piano before it was 'restored'. Farm Gate Art, Ravensthorpe. Mr Angus (tickle the ivory) Stewart belts out 'Tip Toe, Through The Tulips, With Meeeeeee'. Plants from road-side stops in Ravensphorp area. 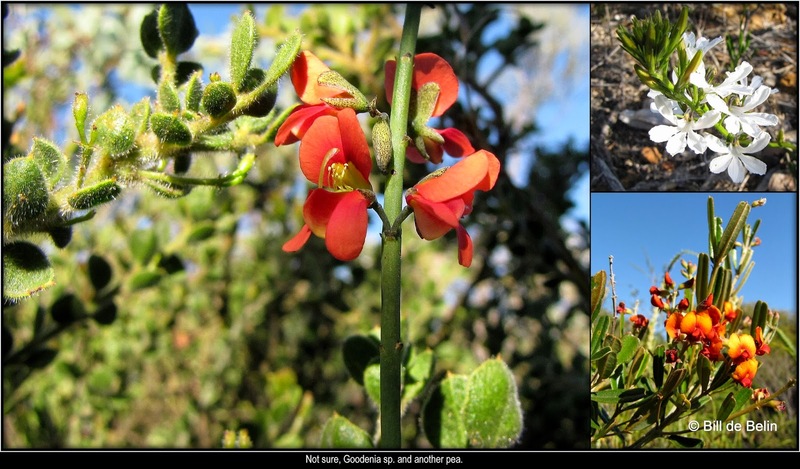 Grevillea nudiflora (no common name). 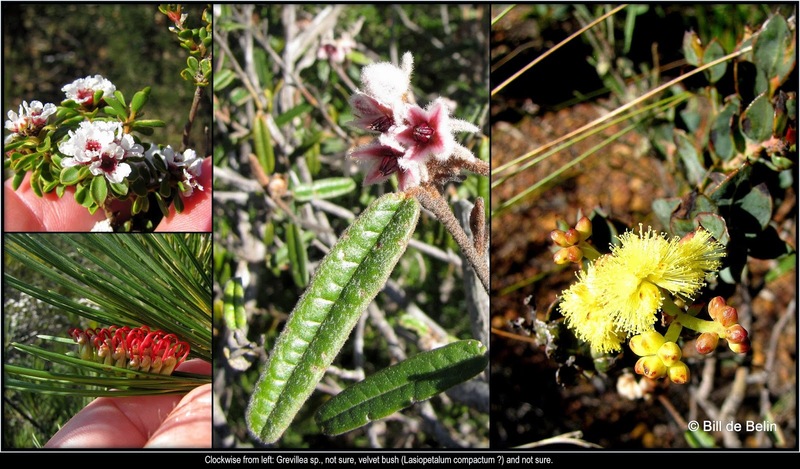 Clockwise from bottom left: Wattle seed pods, not sure, Kunzea affinis, Verticordia sp.. I would say 2 species, but then again. Two peas not from the same pod. But let's just throw in another one. Not sure. Image on left shows colour better. 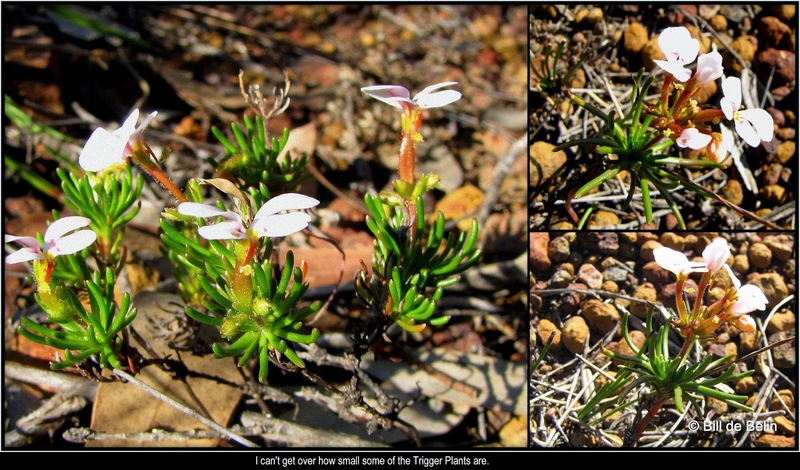 It's been a while since I found a Trigger Plant. Petrophile, Dampiera and Scaevola Goodenia.........or cream, blue and white. Red Lechenaultia and not sure of others. Neil knows a winner when he sees one. Wildflower Art Exhibition in the Dunnart Art Gallery, Ravensthorpe. Wildflower Art Exhibition in the Dunnart Art Gallery, Ravensthorpe. How cool is Laurie, he can take photos with one arm behind his back. A sample of what we saw, on canvas. Just half a size too small. Wildflower Art Exhibition in the Dunnart Art Gallery, Ravensthorpe. from the movie 'The Adventures of Priscilla, Queen of the Desert'. Sheep, Voodoo Doll, Dream Doll, Ninja Bro. Some of the kid's entries (not the sheep). They flower no matter what the season. 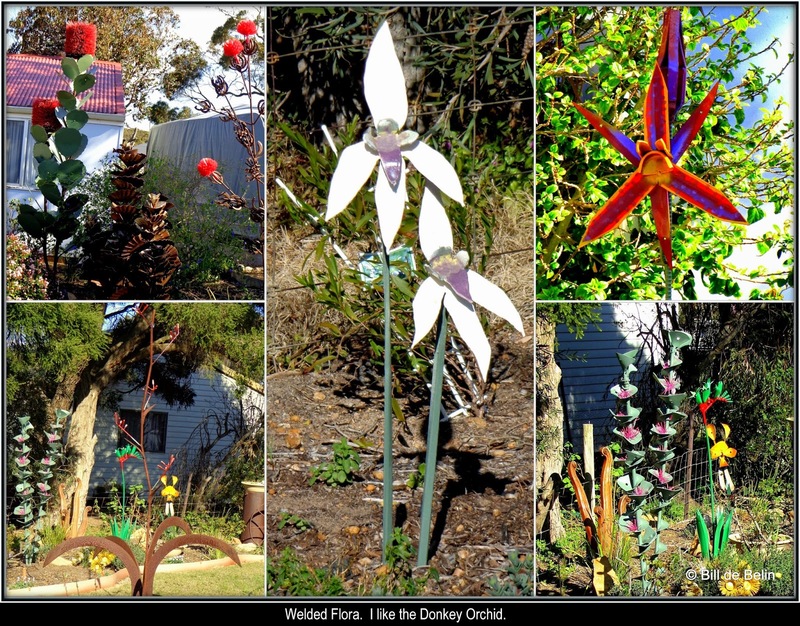 Welded Flora. I like the Donkey Orchid. 'Royal Hakea' outside Ravensthorpe Police Station. 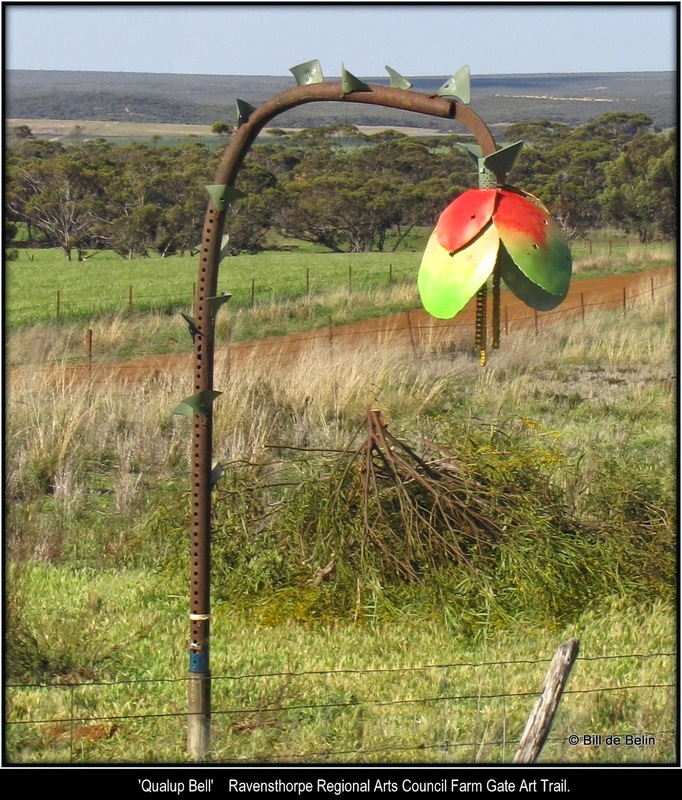 'Qualup Bell' Ravensthorpe Regional Arts Council Farm Gate Art Trail. 'Blue Boy'. 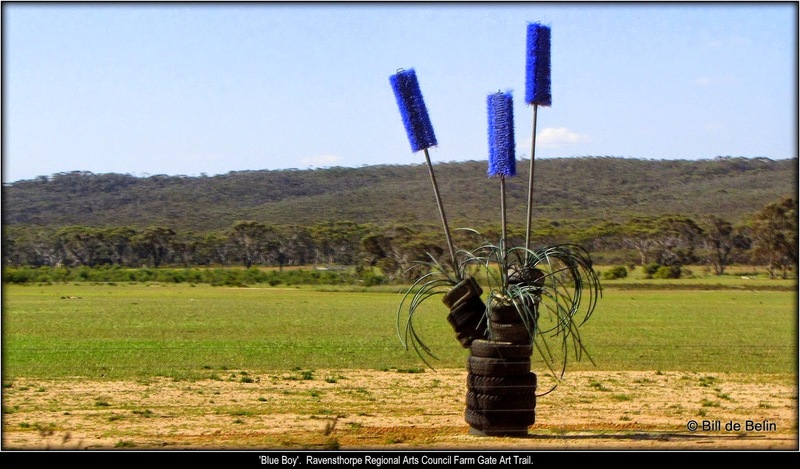 Ravensthorpe Regional Arts Council Farm Gate Art Trail. 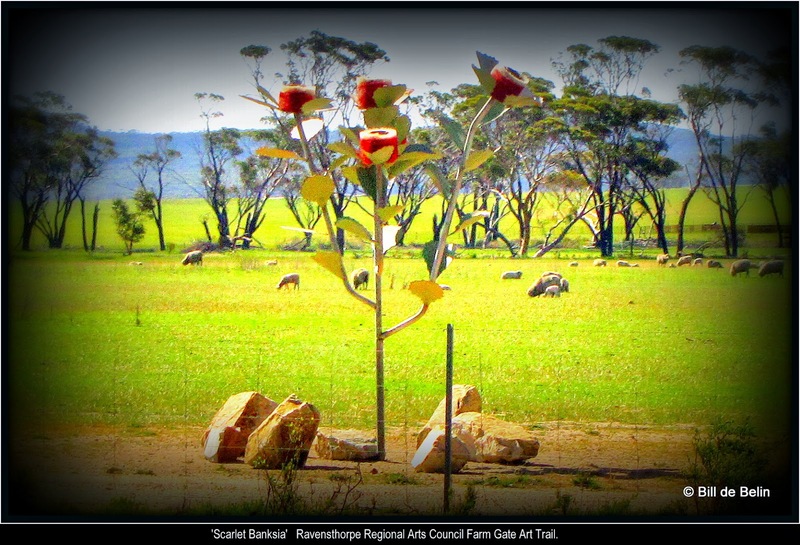 'Scarlet Banksia' Ravensthorpe Regional Arts Council Farm Gate Art Trail. 'Sun Orchid' ? 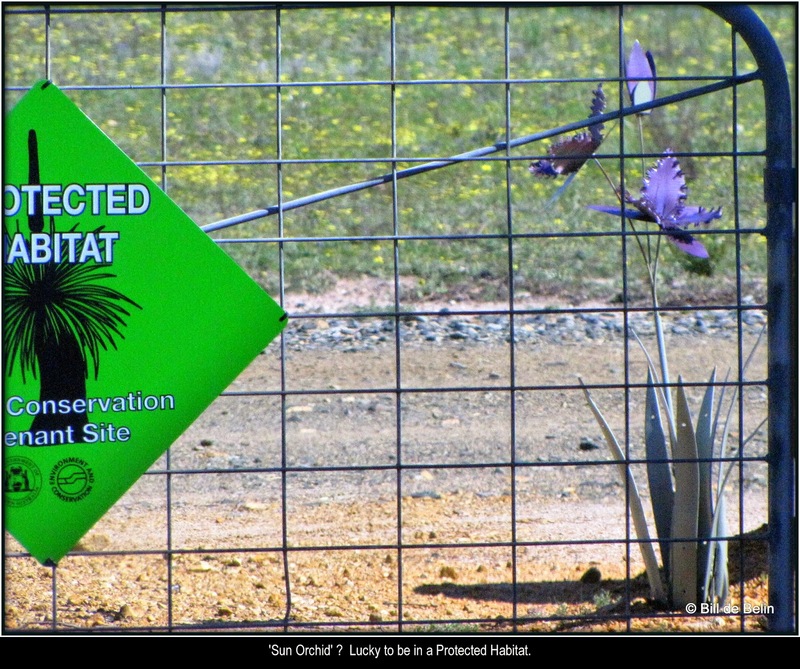 Lucky to be in a Protected Habitat. I can't get over how small some of the Trigger Plants are. 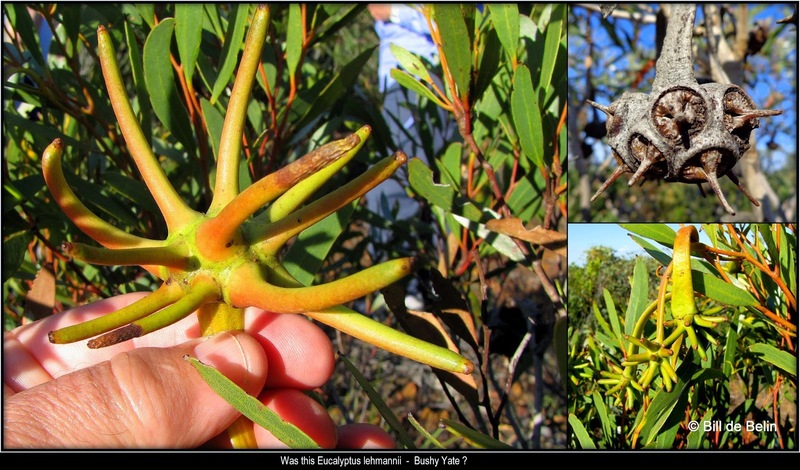 Was this Eucalyptus lehmannii - Bushy Yate ? 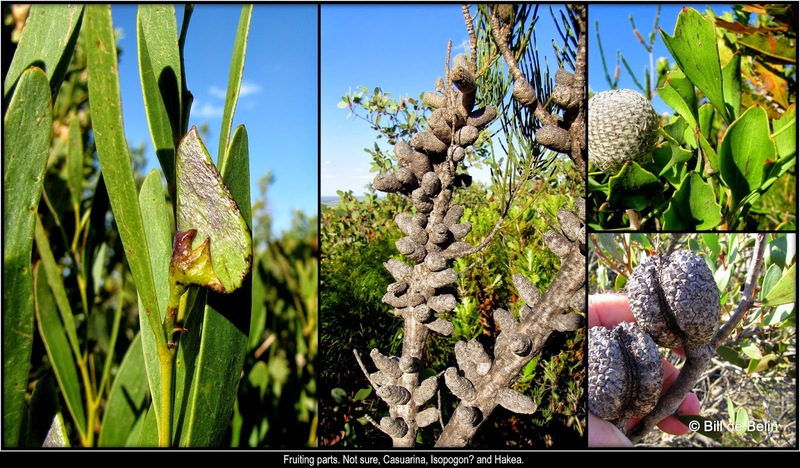 Fruiting parts. Not sure, Casuarina, Isopogon? and Hakea. velvet bush (Lasiopetalum compactum ?) and not sure. 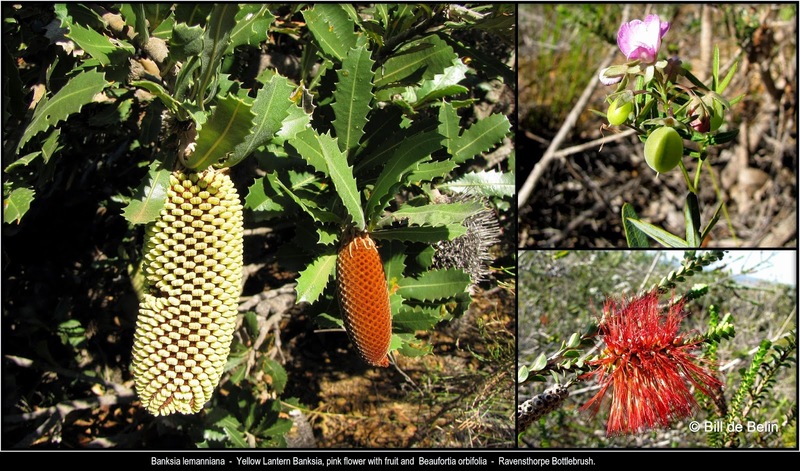 Banksia lemanniana - Yellow Lantern Banksia, pink flower with fruit and Beaufortia orbifolia - Ravensthorpe Bottlebrush. Not sure, Goodenia sp. and another pea. 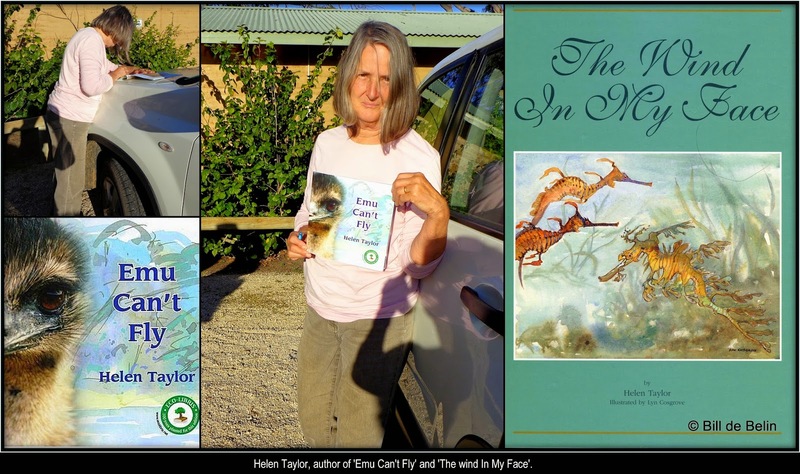 Helen Taylor, author of 'Emu Can't Fly' and 'The wind In My Face'. 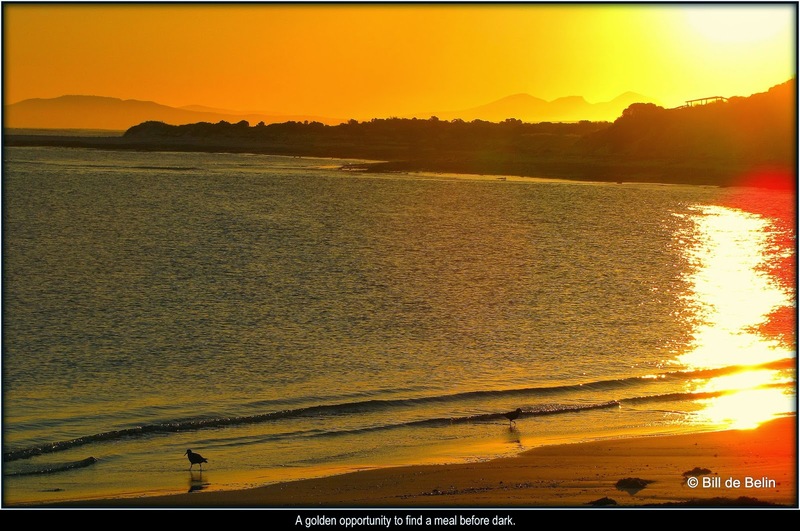 A golden opportunity to find a meal before dark. 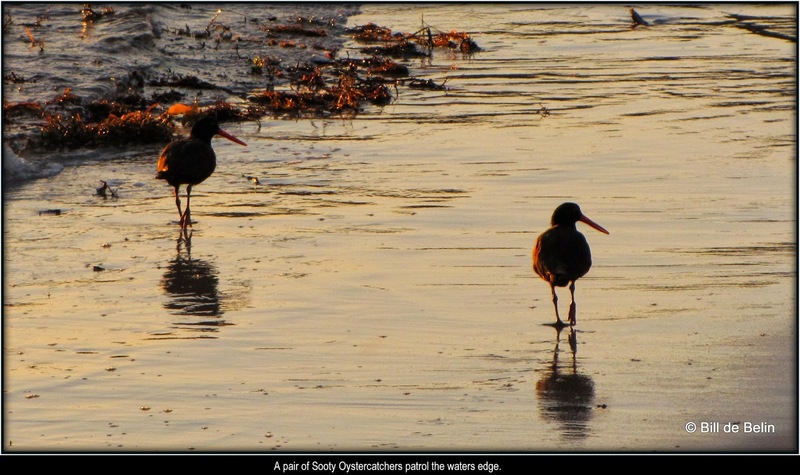 A pair of Sooty Oystercatchers patrol the waters edge. 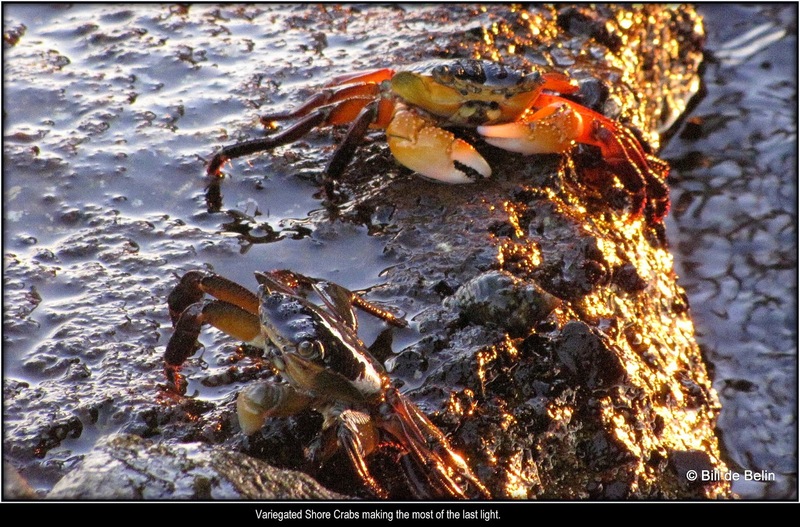 Variegated Shore Crabs making the most of the last light. The Barren Ranges at dusk. 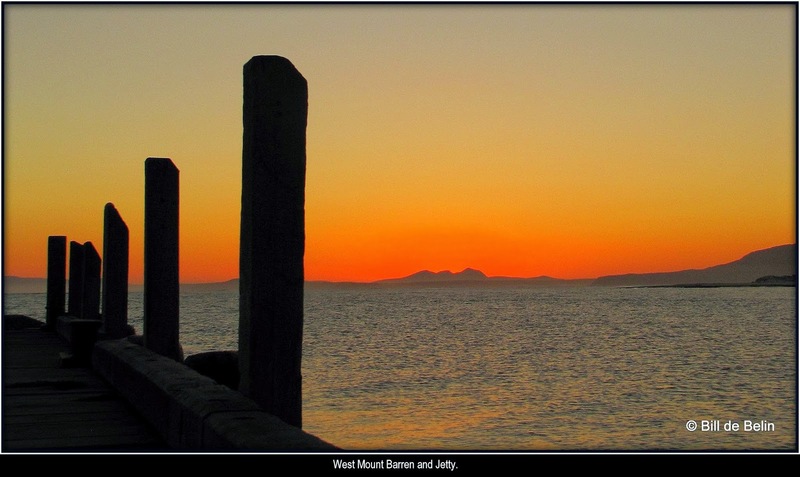 West Mount Barren and Jetty. Scroll to bottom of page, click on 'Older Posts' to go to Day 5 (next day).